Bobby Gould is the newly minted Head of Production at a major Hollywood studio and needs a surefire success right out of the gate if he wants to keep his job. Two proposals land quickly in his lap. The first is a low-brow and racially insensitive action flick backed up by high-powered movie star wattage... in other words, it can't miss. The second is an intellectually challenging, philosophically progressive, deeply important literary adaptation... obviously, a guaranteed box office bomb. Will Bobby's alluring new secretary manage to convince him to do what might be the right thing, or will his longtime frenemy Charlie Fox return Bobby to the brimstone path? 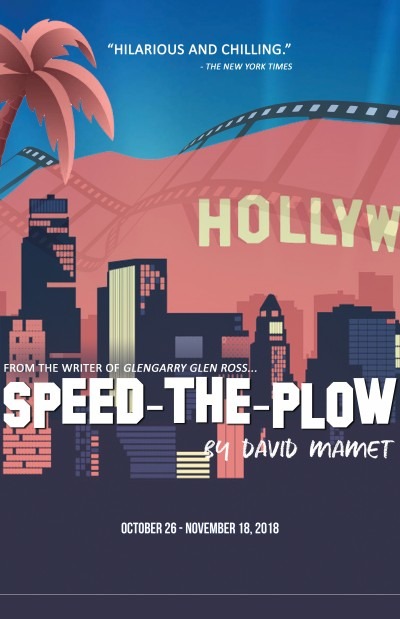 Mamet's rapid-fire comedy/drama pits Money vs. Art, Comfort vs. Courage, and Lady vs. Tiger.